As the story goes, the name Eolo is Italian for Aeolus, ruler of the wind. According to Greek mythology, Eolo lived on a small, volcanic island off the coast of Sicily. He gave Odysseus a wine bag filled with wind to speed his historic voyage home. Nearly there, Odysseus’s curious crew opened the bag, the winds escaped and their ship was pulled back to the Sicilian archipelago. 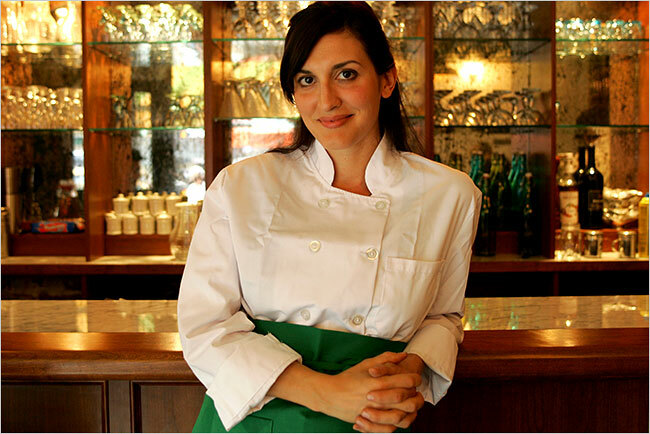 Located in a neighborhood where restaurants can come and go in a matter of months, Eolo Sicilia a Tavola, a Sicilian-inspired Bistro now moving into its second year, is Chef Melissa Muller Daka’s love letter to the region of Sicily. What distinguishes Eolo from other neighborhood trattorias is Chef Melissa’s playful experimentation with tradition that still keeps her dishes in the realm of the familiar. 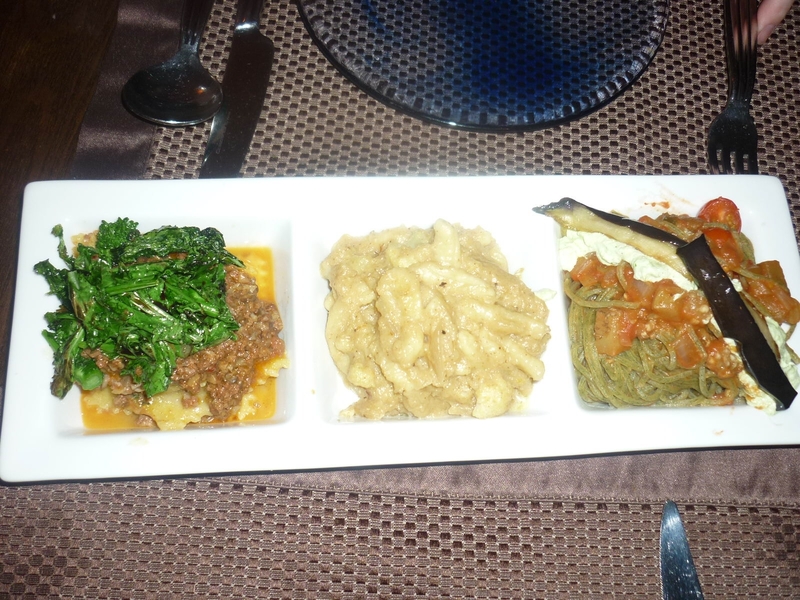 The Appetizer menu is varied and eclectic, featuring plenty of opportunity to be adventurous with your palate. From the Plates for Sharing that includes Crostini di lu Iornu (Grilled Bread with various toppings changing daily, Priced Accordingly) Mini Rice Balls (Various fillings changing daily, Priced Accordingly), Selections of Cold Vegetable Antipastos ($5, $13 and $25) to the Zuppa di Cuccuzza (Pureed Pumpkin Soup, $8), Purpetti ala Giuggiulena (Seared Lamb & Beef Meatballs with cauliflower, onions & sesame seed cream, $13) Purpu cu Ciciri (Seared octopus with lentils, mint, potatoes & cherry tomatoes, $14), and on to unique salads like the ‘Nsalata di Pira (Bosc Pear stuffed with mascarpone & gorgonzola with mixed lettuces and toasted pumpkins seeds, $14), you can step out of your culinary comfort zone with the confidence that Chef Melissa’s inspired ingredient pairings will result something delicious. We quickly devoured the daily special Foccacia, Sfincione ($6) topped with tomato sauce, fontina cheese, radicchio and sliced fresh mushrooms. 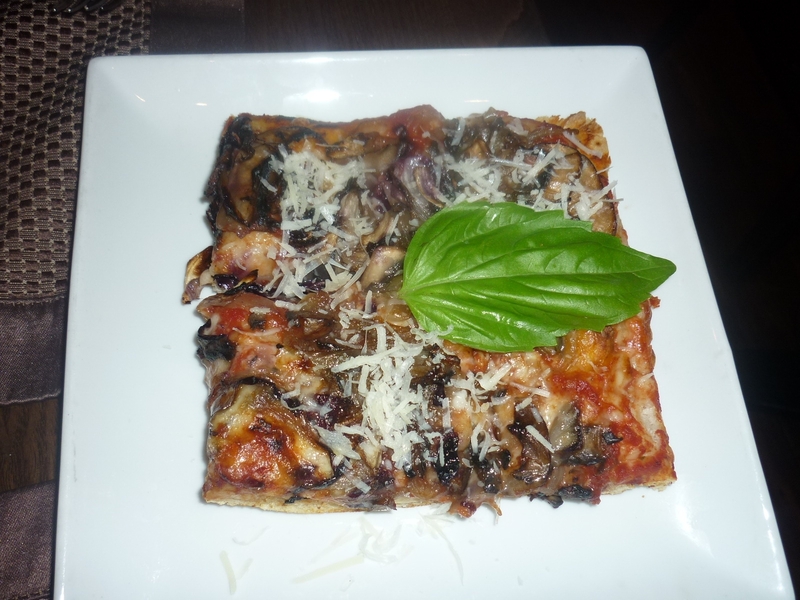 This foccacia was tender and delicious with generous toppings and crispness to the crust which gave it the presentation of a perfectly sized appetizer pizza. Being big fans of the Beet, we were excited by the colorful ‘Nsalata Grigliata (Grilled Salad) with Radicchio & Arugula, roasted beets, grilled corn & asparagus, herbed yogurt cheese and grilled bread ($14). 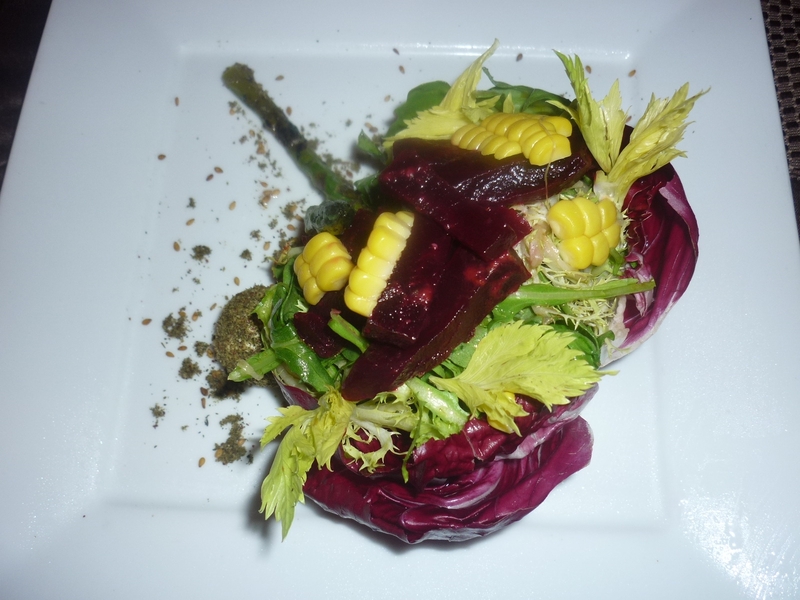 We had, however, forgotten that radicchio – while quite lovely – can be a bitter green, and probably should have asked for a bit of additional dressing on the side to curb that bitterness. House made pasta is a restaurant specialty and, again, some ingredients can be a bit off the beaten path of what you might find in the average kitchen. Since all pastas are available in half or full order, we decided to indulge in half orders of several tempting choices. Feeling adventurous, we first opted for a special pasta of the day, Spachetti d’Ortica cu Melanzone ($12/$24)– spaghetti of stinging nettle, (a flowering plant) which gives the pasta a mild herb flavor – dressed with pesto, fresh eggplant, tomato and ricotta. The Ravioli di Eolo (stuffed with mascarpone & fontina cheese, topped with bold broccoli rabe and ground spicy lamb sausage, $12) was a hearty contrast to the more delicately-flavored spaghetti, and the Cavatieddi Agrodulci (Cavatelli pasta with a flavorful cauliflower ragu, sweet caramelized onions, currants, toasted pine nuts and parmigiano, $12) was our favorite of the three. If you are a regular reader of our restaurant adventures, then you know that we always like to order a steak as a benchmark of how a kitchen handles a popular, non-regional dish. 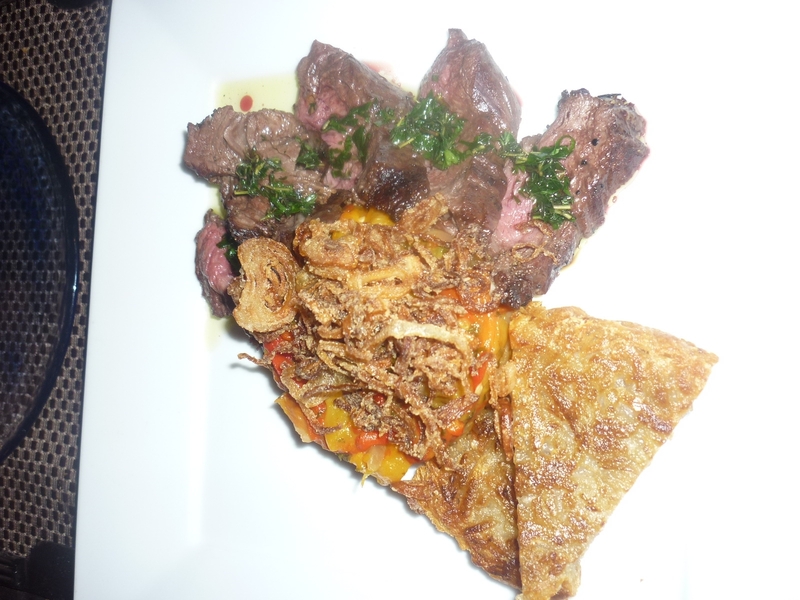 Eolo’s Carni cu Pepperonata (Hangar Steak drizzled with garlic, lemon and herb extra virgin olive oil, ($27) was a serious pleasure with its zesty accompaniment of grilled mixed peppers and decadently crispy green olive potato gallete. The Potato Gallette, which is amazing, is also available as a side dish ($7). 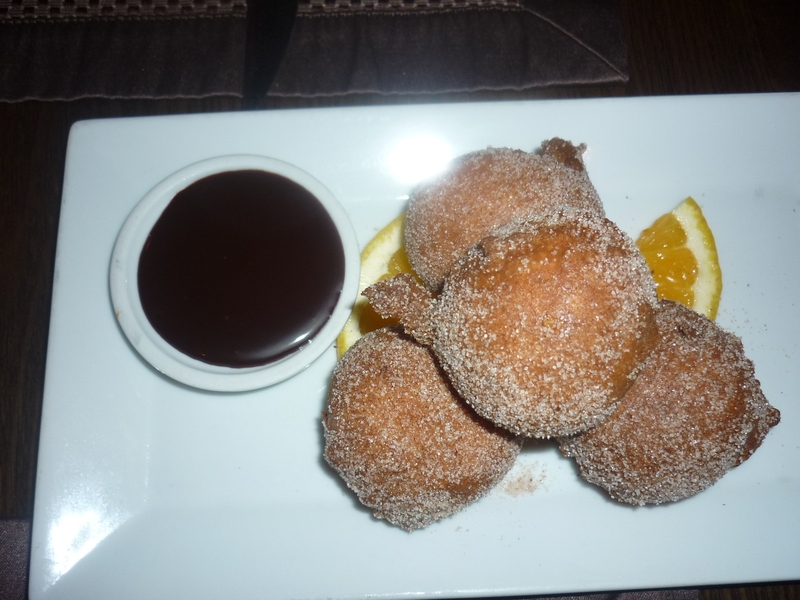 Click the Pink Link Below to Read More of This Review and See Photos of What We Had for Dessert! One might think that we were sufficiently stuffed after the feast described above, but one would be mistaken. In our world of fine dining across the span of the city, there is always room for dessert – or, in this case, multiple desserts! Pastry Chef Tony Marcos is Eolo’s secret superstar! His sweet creations elevate Eolo from a place where dessert is an afterthought to one of those destination restaurants you think of when you’re out on the town and you just want to pop in some place for a great dessert. Along with Torta ni Tomastu (a non-traditional interpretation of Cheesecake , $10) and Brioche con Gelato alla Siciliana (Just what it sounds like: Sweet Brioche stuffed with three scoops of gelato or sorbet, $10) there are over a dozen selections on the menu, of which we sampled three. 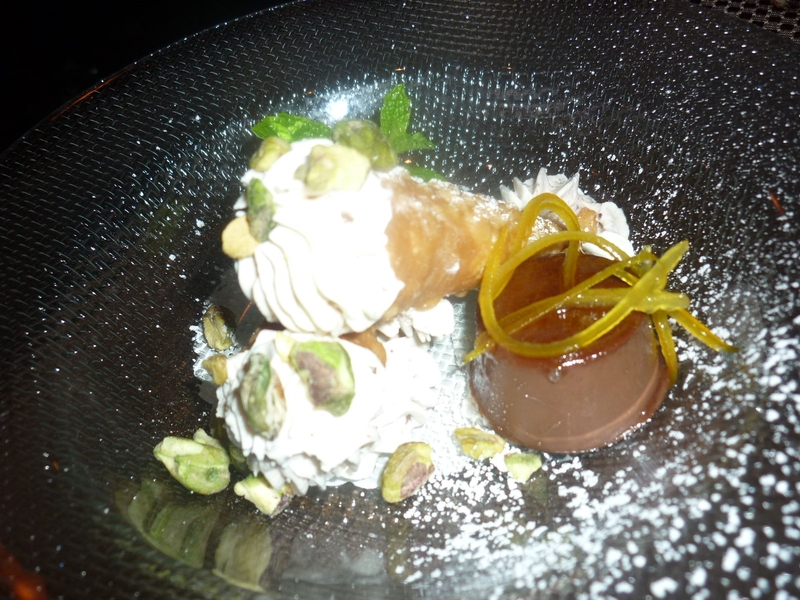 The Cannoli ($11) arrived looking all gorgeous in the form of two crispy, wafer-thin pastry cones hand filled with ricotta cream, studded with candied orange and pistachio nuts and served with a tiny mound of luscious chocolate brulee. Insane! Sfinci ($10) is Eolo’s scrumptious take on house-made donut puffs, fresh and hot from the fryer and loaded with a filling of decadent vanilla-orange pastry cream with side of bittersweet chocolate dipping sauce. Totally off the hook. 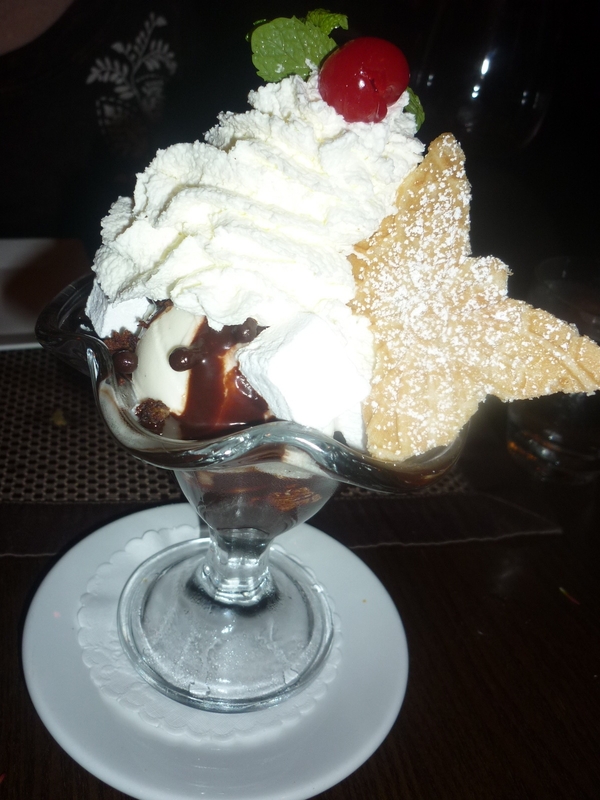 Last but not least we went completely overboard with the Coppa di Gelato al Tiramisu ($11); a tiramisu sundae combining chunks of moist chocolate espresso brownie, marsala marshmallows, coffee fudge, vanilla & Coffee gelato with whipped cream. Oh my goodness, we are still full. Eolo is intimate and cozy, with a warm, rustic décor, and ambient noise is at a moderate level. However, we happened to sit near the open sliding doors – on what may have been the last warm evening of the year – and, with the IRT subway running beneath 7thAvenue, the sound of the passing trains coming up through the grates on the sidewalk at the front of the restaurant was louder than it is in the actual subway. Keep that in mind if you visit Eolo at a time when dining al fresco is an option. Service is friendly and attentive and the wait staff is fully able to answer any questions you have about the menu or the way a dish is prepared. It’s worth noting that Eolo features an extensive wine list with most selections also available by the glass (half or full pour). Eolo: Sicilia a Tavola is Located at 190 Seventh Ave at 21st St in Chelsea, New York City. Hours Are Monday – Thursday: 8:00 AM – 11:00 PM, Friday & Saturday: 8:00 AM – 12:00 AM (Midnight), Sunday: 8:00 AM-10:00 PM. Reservations can be made online at This Link or by calling 646-225-6606. ← Olek Crochets the Astor Square Cube!